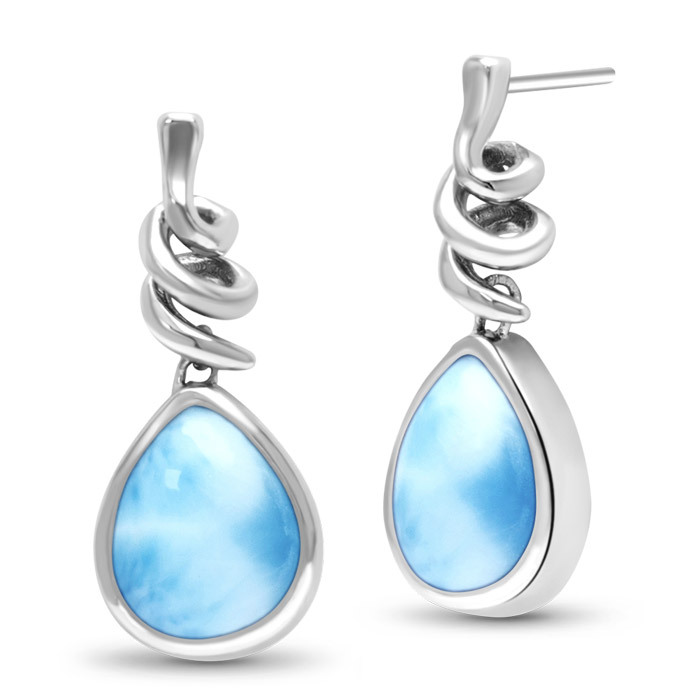 Blissful teardrops of luminous larimar fall gently from soft gestures of sterling silver bands in our Muse earrings. Feminine and expressive, they’ll dance their way into your heart! They also pair perfectly with the Muse necklace and ring.